Mario Götze will wear Borussia Dortmund colours again next season. Bundesliga Daily rounds up all you need to know from Germany's 18 top-flight clubs. There was plenty of activity in the transfer market on 21 July as Borussia Dortmund brought Mario Götze back home and Hamburger SV signed Alen Halilovic from FC Barcelona, while Marco Reus was confirmed as the next FIFA 17 global cover star. Götze is once again a Borussia Dortmund player. Die Schwarzgelben confirmed on Thursday morning that the attacking midfielder, 24, has re-joined the club on a four-year deal from FC Bayern München. Götze is delighted to be back at the SIGNAL IDUNA PARK, where he played his football from 2009 until 2013, winning two Bundesliga titles and the DFB Cup in the process. "It's my aim to play my best football," he wrote in an emotional post on Facebook. "For all of us: the club and the fans." Dortmund attacker Reus will adorn the global cover of the new EA Sports FIFA 17 game after winning a vote for the honour to do so. 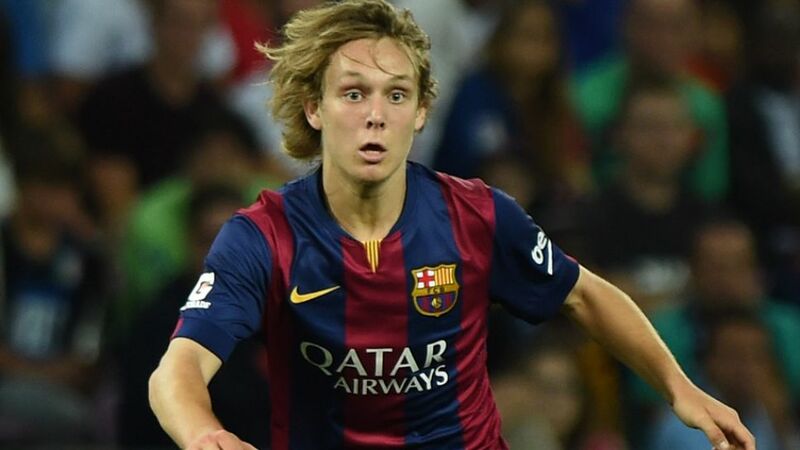 Hamburger SV have also completed a transfer coup, with FC Barcelona youngster Alen Halilovic undergoing a medical in the Port City on Thursday. The Croatia attacking midfielder, 20, will wear the number 23 shirt for Die Rothosen and has signed a four-year deal at the Volksparkstadion. It may have been a long overnight flight, but the Dortmund stars could not fail to have been woken up when over 1,000 Chinese fans welcomed them at Shanghai airport on Thursday morning (CEST). As has become the custom, signatures and selfies were the order of the day for Thomas Tuchel's men, with new signing Marc Bartra and old hand Shinji Kagawa among the most popular players among the Chinese fans. Die Schwarzgelben will play Manchester United FC in a prestigious pre-season friendly on Friday - part of the International Champions Cup - before meeting Manchester City FC on Thursday, 28 July. The excitement and thrill of Bundesliga football has once again proven to be unmatched, as the league enjoyed one of its most attended seasons in history in 2015/16. An average of 42,421 fans were in attendance per game, with Bayern and Dortmund the main draws. You can find more on that story here.